There’s no better gift you can give your child than the love of snow and mountains, and the earlier they start learning the better for their future ski career. Plus as a parent time spent bonding on skis in a magical winter wonderland is something to truly cherish! Yet taking your little one skiing for the first time can be daunting: what happens if they don’t like it, or get too cold, or tired? Little puts a downer on a holiday like a miserable toddler. Luckily for you, the Fall-Line collective has plenty of experience introducing their offspring to this wonderful sport of ours. Here are our top tips to make introducing your toddler skiing fun and tantrum-free. Before you even set foot on snow, get your toddler stomping about indoors on the carpet. 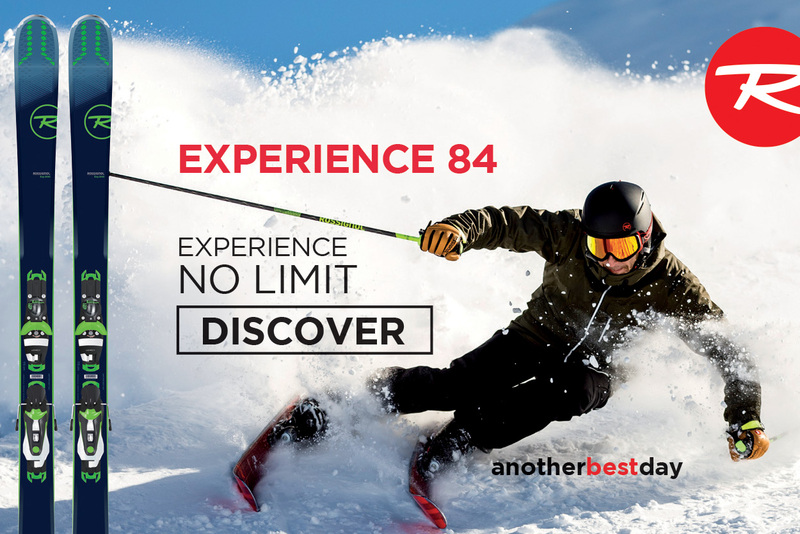 They can get a feel for how the boots and skis feel on their feet in a warm, familiar environment, so, by the time your holiday comes around – and you add bulky clothing, cold and snow into the mix – they won’t feel so overwhelmed. Get down on all fours and gently push the bindings forward so they feel the sensation of sliding. Don’t force anything. Make it a game. Watch as they learn balance and coordination on their own simply through play. Don’t be afraid to incorporate helmet, goggles and gloves too! Choose a sunny and (ideally) warm day. Let them shuffle around on the flat and pull them around with your ski poles. As soon as you feel they are ready, move onto the nursery slope – just the bottom section to begin with, with a flat run-out, so whatever happens, they will stop! Let them slide independently as you run or ski alongside, providing words of encouragement. You can progress higher up the slope as their confidence – and balancing skills – grow. Don’t wear them out – have a couple gos, then head inside for a hot chocolate. Don’t rush their progression! The most important thing your toddler is learning is to associate the whole rigmarole of skiing with fun. The only real skill they will be developing in these early stages is balance. As they begin naturally to start steering the skis, you can introduce the snowplough – but this may not happen during their first season on snow. The key is about hours spent sliding on snow to build up their confidence and enjoyment – the rest will follow. Rather than hold them and ski with them between your legs (they’ll go limp and rely on you to hold them up), it’s best to let them slide independently. As you progress onto gentle greens/blues a harness with a leash works well, letting them ski ahead of you while you snowplough behind. You can also ski next to them holding a ski pole sideways across you and they hold the handle. Another useful bit of training kit is a bungee that clamps onto the ski tips to keep them from crossing or spreading too far apart – useful when snowploughing. Do make sure they are dressed properly (layers are key!) and have gloves or mittens on. Helmets and UV eyewear are essential too. Don’t bother with ski poles (for now) – they just get in the way and cause distraction. Do focus on fun. Play ‘follow the leader’, chase each other with snowballs, pretend to be different animals – they’ll learn fastest by accumulating ski skills indirectly, purely by having fun. Don’t stay out too long. Take that hot chocolate break BEFORE they are tired and cold. Do take lots of photos and show them later – to remind them how much fun it (hopefully) was! A few miles down the valley from Switzerland’s most famous mountain resort is one of its least famous. En route to mighty Zermatt lies modest Grächen, which, it turns out, is as much of a paradise as Zermatt… as long as you have little kids in tow. Grächen is such a specialist spot that even someone like me, a lifelong skier from the Valais, had hardly heard about it; that is, until I had my own daughter. Last winter, after a couple of seasons under our belt on other easy local slopes, Romane and I, plus a friend and her toddler, decided to give it a try. The village, at 1619m, is partly pedestrianised, with a free ski bus, covered parking and accommodation at various budgets. The ski pass is cheaper if you stay locally (free for under sixes, discounted for under-15s, less so for under 19s; there are also nursery slope-only passes). There’s a heated ski and boot depot, a village playground, an ice-rink and sledging. So far so sensible, but it’s when you step into the gondola – reached by a long ramp, ideal for push-chairs – that it gets more interesting. The eight-man bubbles are decorated with pictures of fairy tales. As the doors close, the story of, say, Hansel and Gretel or Snow White (in Swiss-German admittedly), comes through the speakers, concluding as you arrive at the top. Up on Hannigalp (2114m) are four magic carpets, two kids’ tows and any number of kid-friendly obstacles, plus an ‘Indian village’, and mascots all over the place. For older ones there’s a ski movie run, a ‘family fun slope’, jumps, boxes and a tunnel. There’s a playground and carousel for pre-ski kids, plus a fantastic kindergarten in the Hannigalp restaurant – which has child-sized tables and chairs plus toys and games. There’s also what they call a fairytale igloo cinema, where cartoons are projected onto the igloo wall. All in all Grächen has 42km of runs (9km of which are easy) so there’s plenty to explore if you leave your offspring with the ski school for a few hours. And the icing on the cake? You can see the top of the Matterhorn. 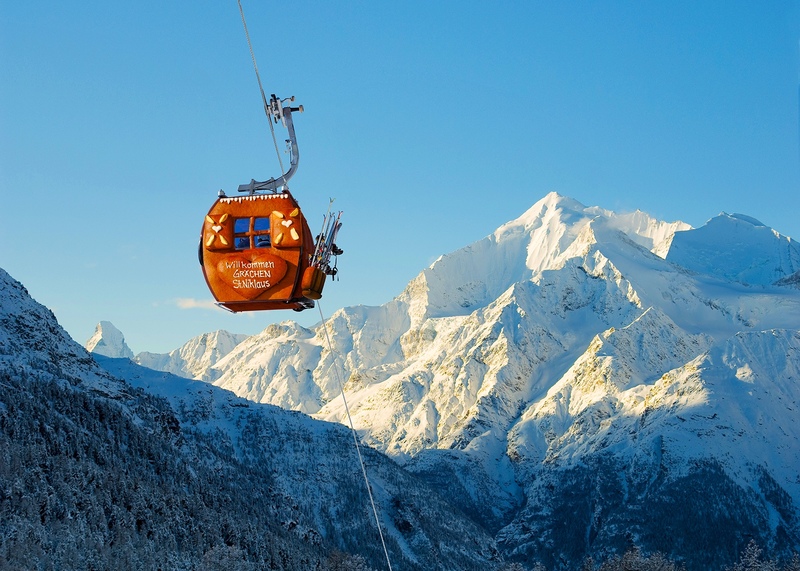 A new deal called ‘slope-ready’ in Pamporovo, Bulgaria, includes lift passes, equipment hire and tuition as well as breakfast, lunch, dinner and drinks in the centrally located Hotel Perelik, which has a pool, sauna, bowling alley and recently revamped bedrooms. Pamporovo is perfect for beginner families who don’t need steep runs or mad apres-ski, and the easy-to-navigate mountain means it’s pretty much impossible to get lost. 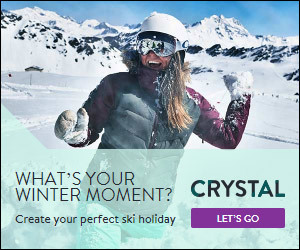 Crystal customers have voted the ski school the best the tour operator offers in Europe. A package is also available with lunch and alcoholic drinks. Snow-sure Passo Tonale, Italy has an efficient lift system, few queues and a swish new gondola up to the 3,000m Presena Glacier. Beginners benefit from a multitude of low-gradient pistes starting and finishing a short walk from most accommodation. If your children are with one of the excellent English-speaking ski schools and you fancy a challenge, head to Ponte di Legno for tree-lined reds and blacks; there’s also decent off-piste to be found. Childcare is available from 6 months to 11 years in kids’ clubs equipped with trampolines, bouncy castles and soft play as well as the ski slopes. The slopeside four-star Grand Hotel Paradiso has a pool, hot tub, gym, spa, games room and ski hire on-site. High-altitude Obergurgl, Austria has well regarded ski schools, a resort-run club for three and four-year-olds in a kids’ ski zone and a non-skiing kindergarten (from three years). At 1930m and with excellent snow-making, cover is guaranteed, including in those quieter, cheaper pre-Christmas and spring weeks. This characterful family resort has a modern lift system (all chairs are heated or covered) and few queues. For expert parents there are awesome day tours (with a weekly ski school outing) and lift-accessed off-piste (and usually a top-level ski school class skiing it). 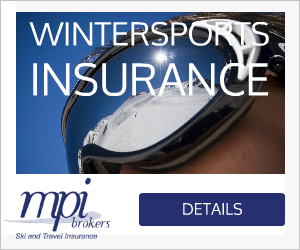 Ski passes are free for under-eights. 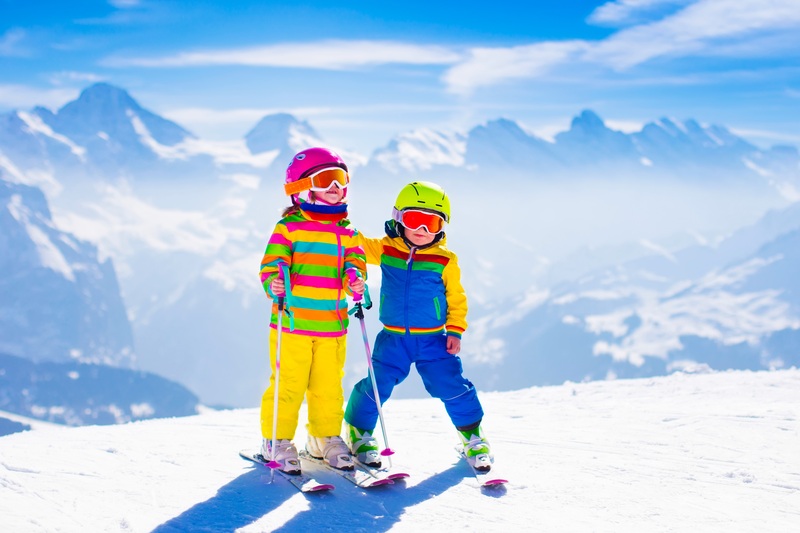 When two adults pre-book ski and boot hire, children’s kit is free (seven years and under). FL's Editor in chief, based in the French Alps. Loves trees, steep moguls and live music.